We will provide you with best quality, composite aluwood and timber, windows and doors, allied to an excellent installation service using only approved, regionalised fitters who are experienced in working with the FGM systems on both new and refurbishment projects. We supply and install the finest quality, composite aluwood and timber, double or triple glazed, windows and doors in Ireland. Our wide range of products is particularly suited to Commercial developments having different section depths – 122mm, 149mm and 175mm for different sizes of screens and curtain walling; and also because the different systems – outward opening windows and doors, Tilt and Turn windows and doors and Sliding Doors are all mutually compatible during installation. We supply and fit five composite ranges of windows and doors FUTURA+, FRAME IC, NATION IC and CONTURA. Please view all our systems on the right just click on the product name. If you have any queries or wish to receive a quotation for your project please see our details on the “Contact us” page. Thank you for visiting our website and we wish you every success with your project. 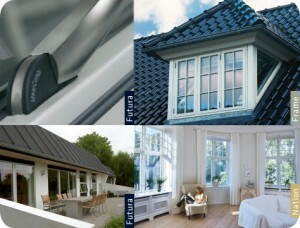 FGM Windows and Doors Ltd.